- To make available qualified vendor options in each field activities of BTL/ATL marketing on PAN India basis to brand owners to conduct marketing activities seamlessly without compromising regional efficiency but ensuring strong quality check. Raw Material, Semi Finished, Finished Goods, Rolling Material, Ferro Alloys, Non Ferrous Metal and Many More Steel Prices in India and Global. 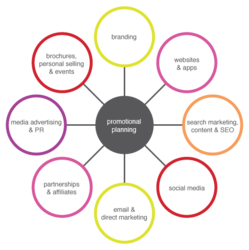 We'll work with you to plan an integrated global marketing strategy, from the identification of target markets to detailed (realistic) budgets and timelines. Identifying prospective clients, mapping their requirements for new business development, Initiating market development efforts by formulating Country specific entry plans in phased manner. We develop or refine Marketing Plans and programs. These cover all the elements of marketing and contain action plans with milestones. We provide ongoing reviews and course corrections and can also become an ongoing driver of the marketing effort. We are one of the foremost organizations of the market, we are engaged in providing Communication Platforms Building services. Our services are handled by our experts who finish these services with stress free way within given time frame. We help clients in creating an efficient marketing plan that defines all the tools and strategies they can use to attain their company's revenue related goals. We are a marketing consultancy firm based in Mumbai, Maharashtra. FMCG, Pharma and B2B products. positioning, packaging, market segmentation, selection of trade partners, go-to-market strategy and budgeting. Building a Sales and Marketing plan that everyone understands, supports and knows how to execute doesn’t have to be hard. For more in depth insights on how to build a sales and marketing plan, and other B2B marketing. Our Industry Experts will Help you With customized Solutions. Because of the face-to-face interaction yielded by event marketing, it has become a vital component to corporate marketing plans. Mantraa Media & Events will work with you to develop a customized marketing plan focused on your target market and structured to convey your brand's image in the perfect light. This is an element of your marketing plan that cannot be overlooked.